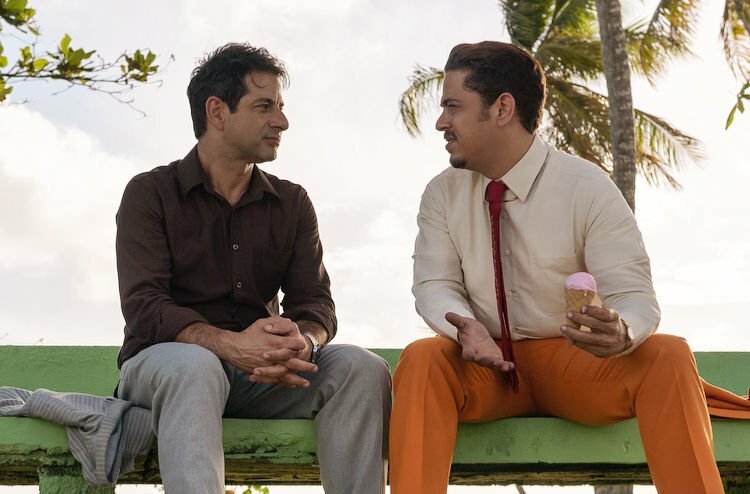 Miguel Rodarte, left, and Jose Luis German in “Cinderelo,” a new film by director Beto Gomez that will debut in the United States as part of the Tucson Cine Mexico film festival, which runs March 27-31. Gabriela Cartol and Teresa Sánchez are chambermaids working in a luxury Mexico City hotel in “La Camarista,” a new film by Mexican director Lila Aviles. It will be screened at Tucson Cine Mexico, at 6 p.m., March 30, at Harkins Tucson Spectrum 18. Tucson Cine México, the longest running Mexican film festival in the United States, returns next week with a fresh batch of contemporary works from established and up-and-coming directors. The 16th version of the five-day festival, a partnership between the University of Arizona's Hanson FilmTV Institute and New York-based Cinema Tropical, begins Wednesday, March 27, with a reception and discussion with noted filmmaker Martha Sosa Elizondo at the Tucson Museum of Art downtown. Festival co-director Carlos Gutiérrez will moderate the conversation with Sosa Elizondo, producer of “Amores Perros” and the award-winning documentary “Presumed Guilty.” Her latest film, “Plaza de la Soledad,” will be shown March 28 at the festival, which ends Sunday, March 31. Mexican films have enjoyed renewed popularity over the last 20-plus years. In addition, a trio of Mexican directors — Alejandro González Iñárritu, Alfonso Cuarón, and Guillermo del Toro — have earned critical worldwide success by winning Oscars for best director and film in recent years. But it is directors like Beto Gomez who have toiled under the Hollywood radar and who have helped bolster the Mexican film industry with successful films. Mexico is experiencing a boom in movie-making, with many talented directors and photographers, Gomez wrote in an email. Gomez, a frequent visitor to the festival, said Hollywood is open to Mexican filmmakers and he is working on a project that be believes will appeal to filmgoers north of the border. Gomez’s newest film, “Cinderelo,” will have its U.S. premiere at the festival on March 30 at 9 p.m. Gomez turns the fairytale of Cinderella on its head as Marlon Flores, played by Miguel Rodarte, is rejected by women who find him completely unattractive. When Marlon meets his “fairy godfather” played by Joaquin Cosio, Marlon turns into a gorgeous beefcake named Brando, played by William Levy, who is pursued by the women. But the transformation comes at a price. All the films will carry English subtitles and will be screened at the Harkins Tucson Spectrum 18, 5455 S. Calle Santa Cruz, with the exception of “Mamacita” and “Plaza de la Soledad,” which will be shown at the Center for Creative Photography on the UA campus beginning at 5:30 p.m. March 28. The films are free but attendees should reserve their tickets at the festival’s website, tucsoncinemexico.org, where you’ll also find the film schedule and more information. "The Music of Andrew Lloyd Webber & Stephen Sondheim" draws from legendary composers' Broadway musicals.